This is a message from Bob Smith, the HKMBA's Chairman back in 2008. Bob left HK in 2010 and now resides in Cairo, Egypt. In 2008, Bob spearheaded the revitalization of the HKMBA hoping to make Hong Kong a great place to live and ride a mountain bike. Bob closely follows the HKMBA's progress and dearly misses the incredible riding that is just under our noses here. Welcome to the Hong Kong Mountain Bike Association (HKMBA) Home Page. We have redesigned the site to reflect the changes and renewed efforts that the association is undertaking to address issues relating to mountain biking in Hong Kong. 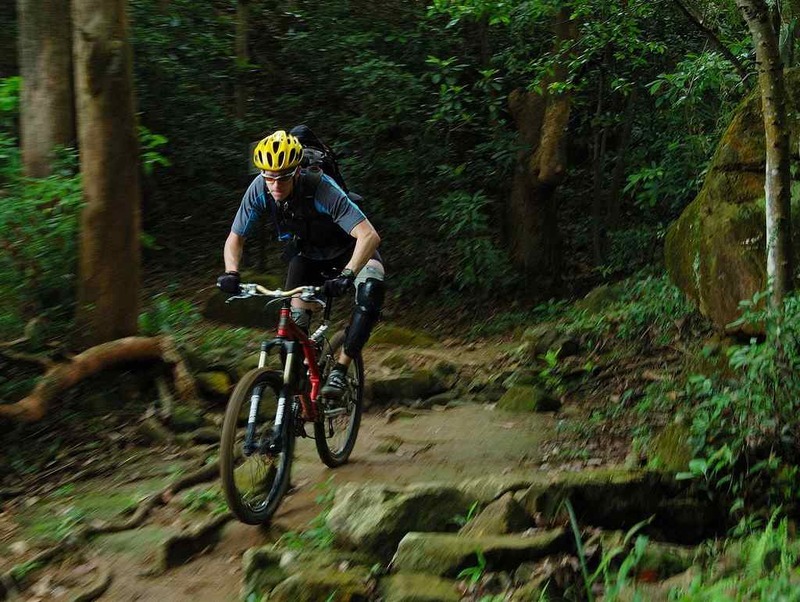 Mountain bikers are responsible members of the outdoor recreation community and we share with hikers and other outdoor enthusiasts the appreciation and sense of responsibility for the preservation of Hong Kong open spaces. We are open and eager to work with government and other users in preserving, protecting and sharing these natural resources. Cooperation, respect and communication are the most effective means of ensuring a safe and rewarding outdoor experience for all trail users. With the help of all of you we have the opportunity to further increase the legitimacy of our sport and gain the acceptance and access that we deserve and desire. But this job doesn't belong to a select few but to all of us. We must all do our part to promote and expand the interests of mountain biking in order to see real changes and successes. I thank you for the opportunity to head up this worthy cause and look forward to working with all of you. Good riding!